Keep an eye out for E30 Racing cars/shells/projects in one handy place - our new Classifieds section. E30 Racing Official Merchandise can now be purchased via this website - head to our online store and check out our brand new 2019 Garagistic BMW Driver's Cup casual/sprint long-sleeve t-shirts! A variety of men's and women's sizes are available. Round 5 of the Garagistic BMW Driver's Cup, on the weekend of 17-18 August, will now be held at Phillip Island instead of Winton. 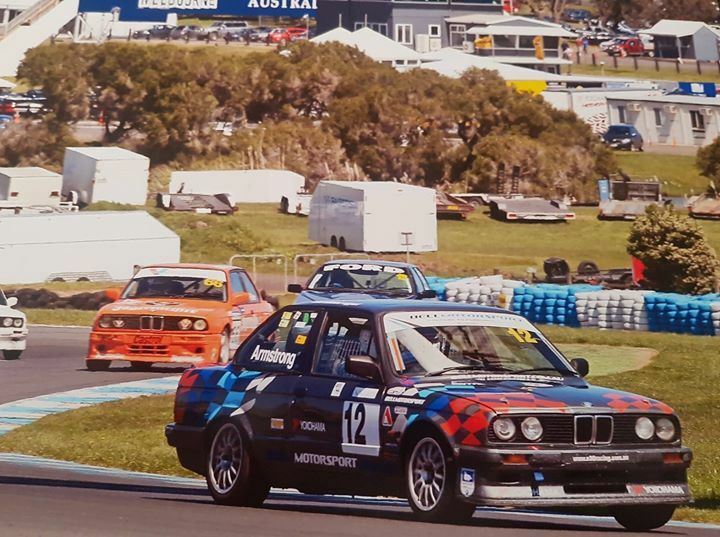 It gives us great pleasure to announce that Yokahama Australia, and local supplier Traction Tyre Centre, have renewed their agreement with E30 Racing. E30 Racing Members will get our agreed discount on the control Yokohama A050 205/50 R15 86V (M) tyres. Hi BMW Driver's Cup competitors! Welcome to the new E30 Racing website. We'rein the process of setting up the membership and events system and all our online content.